According to the Guinness Book of Records, it is the oldest restaurant in the world and Forbes ranks it number 3 in classic restaurants. This restaurant is essential if you want to eat the typical cochinillo or lamb cooked in wood ovens. It is located in the Basilica of Our Lady of Atocha and is famous because many politicians and Spanish personalities of the nineteenth century are buried there. Its fame lies in historical architecture and funerary sculptures. Admission is free at different times from Tuesday to Sunday. Located in Madrid Rio, it is one of the city’s modern bridges and icons. 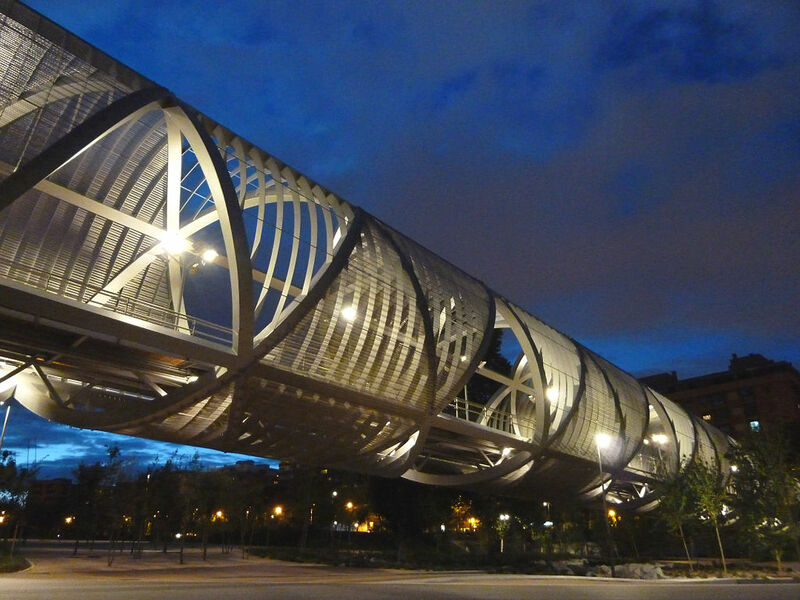 Inaugurated in 2011 and created by the French architect Dominique Perrault, its purpose is to unite the districts of Carabanchel and Arganzuela. The bridge has benches to rest and a bicycle lane runs through it. Near our hotel, in the Sol area, you will find the only Arab baths in Madrid. There are three hot springs: one hot, one warm and one cold. There is also a Turkish bath and a rest room with a tea fountain. In Retiro, the most famous park in Madrid, there is a fountain with a sculpture that represents the Fallen Angel when he was expelled from Paradise, for some, it is known as the Devil. A work by Ricardo Bellver in 1878 and inaugurated in 1885, it is a sculpture worthy of admiration.